Learning the Business of Fashion: Can Brands Be Too Big To Do Good? Bringing this blog back to the original theme of ethical and sustainable fashion I want to comment on a really great Fast Company article that I found through twitter called 'Can Brands Be Too Big To Be Good'. Just like the author Daniel Baylis I have a firm belief that big brands have a much greater scope for change and much more power than the smaller brands. Nin, one of the founders of Goodone expressed her wish to reach many more people when I met her earlier this year. She said that back then she would have to be happy to receive an order of 10 garments, but that in the scheme of things this order would not really change anything. The thousands of metres of fabric that goes to waste every day will not even marginally be reduced from that. Therefore she wished to work with the high street, and work at a much larger scale. One of the companies that do recycling in a larger scheme is Urban Outfitters for instance with their Urban Renewal collection, and Asos who to some extent promote second hand fashion through the marketplace and have Green Room where you will find Made jewellery and other sustainable fashion brands. But the biggest player by far is H&M with their Conscious Collections coming out several times a year and their signature green tags furthermore found sporadically throughout the seasons. However, the discussion will forever remain whether H&M is really good enough. The same goes for the Indian brand Fabindia which is founded on the basis of Gandhi's idea that Indians should buy Indian handloom cotton (Khadi). 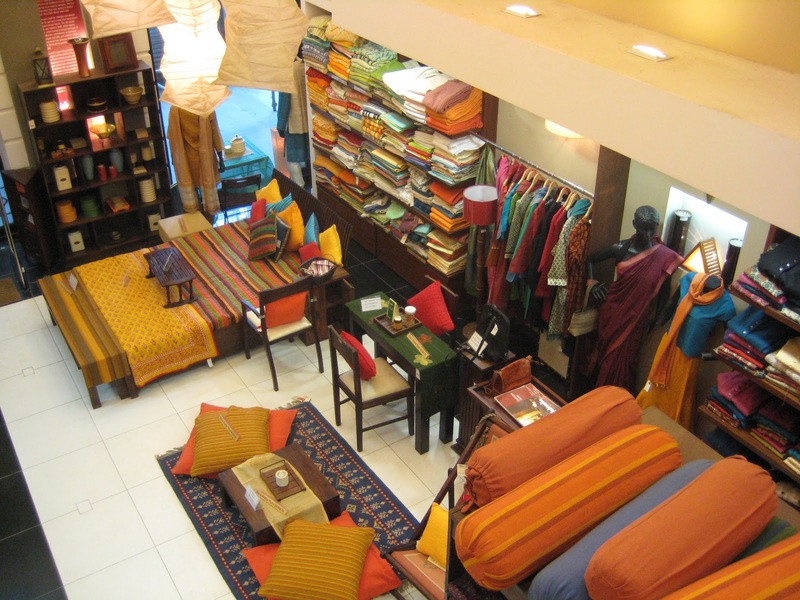 Over the past 50 years it has changed from a small boutique and export house to a retail chain with stores in all tier 1 and 2 cities in India, selling both handloom and powerloom fabrics for the home, ethnic fashion and organic foods. Fabindia sources these goods from 17 community owned corporations that receive prices according to fair trade principles and are owned minimally 26% by the local craftsmen. It is a grand idea that may be diluted by the introduction of powerloom fabrics, but especially the recent LVMH investment in the company has received many a raised eyebrow in the media. Over the next few months I hope to find out whether this company has managed to remain a do-gooder with its growth.